NEWARK, Del. 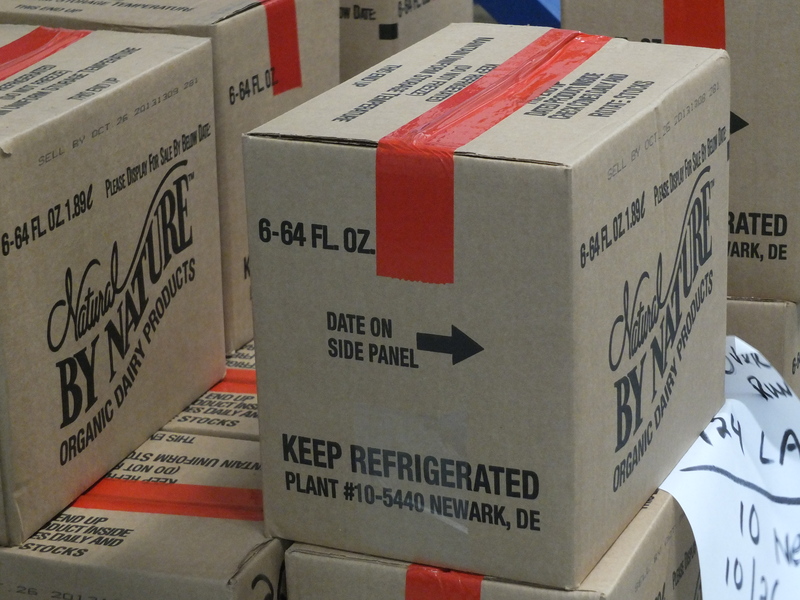 – Independent, family-owned Natural Dairy Products Corporation found the perfect match in Newark for its relocated headquarters and gold-standard quality dairy operation, where it will make and distribute its organic, grass-fed dairy products. That feeling of synergy was mutual on Friday, as Gov. 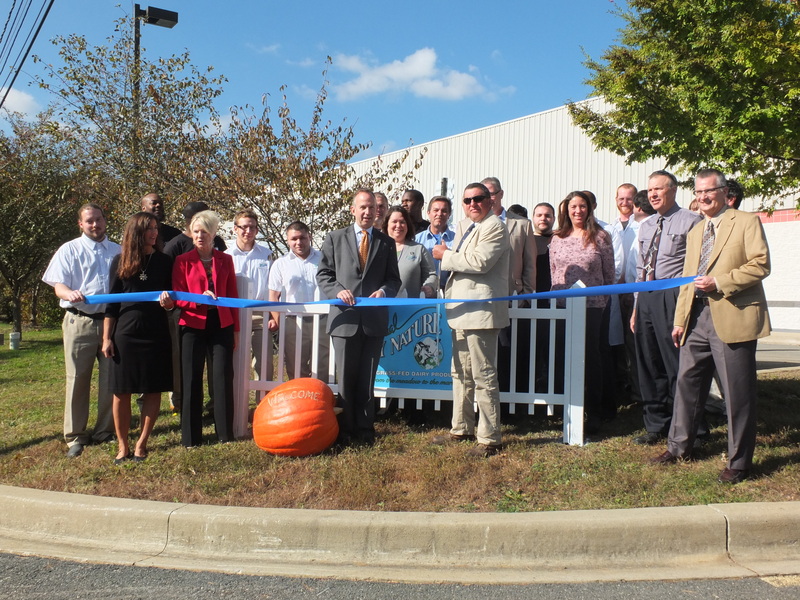 Jack Markell, Bernice Whaley, deputy director of the Delaware Economic Development Office, and other state and local officials welcomed the company in its move from Avondale, Pa., to Newark. The award-winning dairy business brings 19 jobs to Delaware and intends to grow in the First State. According to Gov. Markell, Natural Dairy Products founder and President Ned MacArthur and his company embody the spirit of innovation and start-ups that are quickly becoming the hallmark of the First State. In 1994, MacArthur left behind the frustrations of trying to sell organic milk as a farmer and, along with his father, Norman, developed a system that propelled Natural Dairy Products to success. The company’s product line, Natural by Nature, includes butter, milk, yogurt, buttermilk, cream and other goods made with milk from 22 certified organic dairy farms in Pennsylvania. 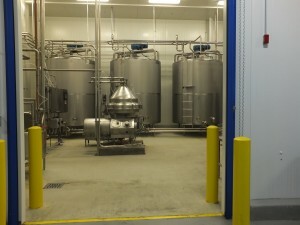 Its new 30,000-square-foot dairy facility, tucked away off Markus Court near the intersection of Otts Chapel Road and Elkton Road, has been outfitted to pull these products under one roof. MacArthur said that the proximity of Newark to its former headquarters in Avondale was a key factor in the company’s choice of Delaware. But it was the assistance of state and local officials that tipped the scale in favor of Newark. Natural Dairy Products was approved for a $140,169 Delaware Strategic Fund performance grant for the creation of 19 jobs, as well as a $134,831 capital expenditure grant. Whaley said Natural Dairy Products was attractive to state officials not only because of its ongoing growth and success but also because of its commitment to high standards for efficiency, quality and cleanliness. Natural Dairy Products Corporation is the producer of Natural By Nature organic, grass-fed, dairy products. The company was founded in 1994 by Ned MacArthur and his father, Norman. 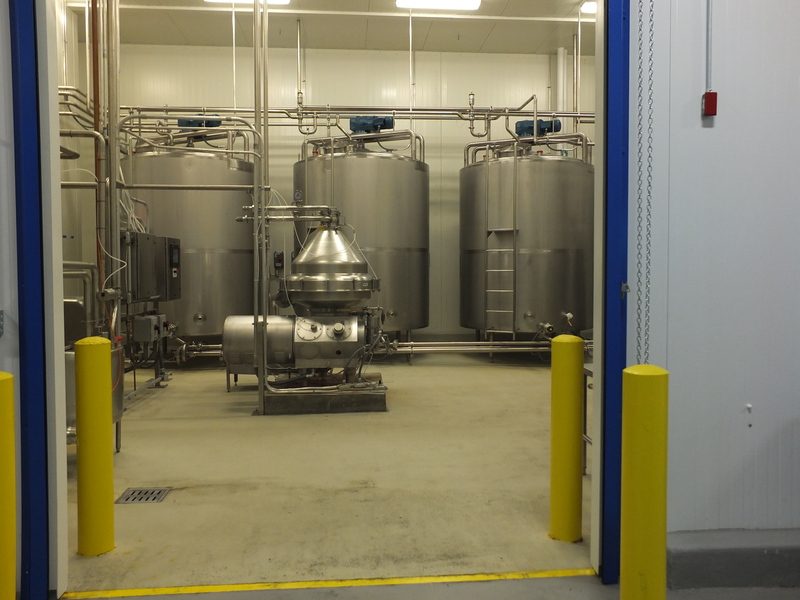 Natural Dairy Products recently relocated its headquarters and operations from Avondale, Pa., to Newark, where it will make products such as fluid milk, heavy cream, buttermilk, butter and yogurt in a new 30,000-square-foot facility. Visit www.natural-by-nature.com.